As the Dallas Cowboys near the draft, the list of players that will visit The Star in Frisco, Texas will begin to come together. A new name can be added to the list in the form of Missouri Wide Receiver Emanuel Hall. According to Bobby Belt, Hall is slated to be one of the Dallas Cowboys visitors from their allotted 30 national visits. I'm told Missouri WR Emanuel Hall is one of Dallas' top 30 invites as well. Athletic freak who blew up the combine. Over 20 yards per reception over his four year career with the Tigers. 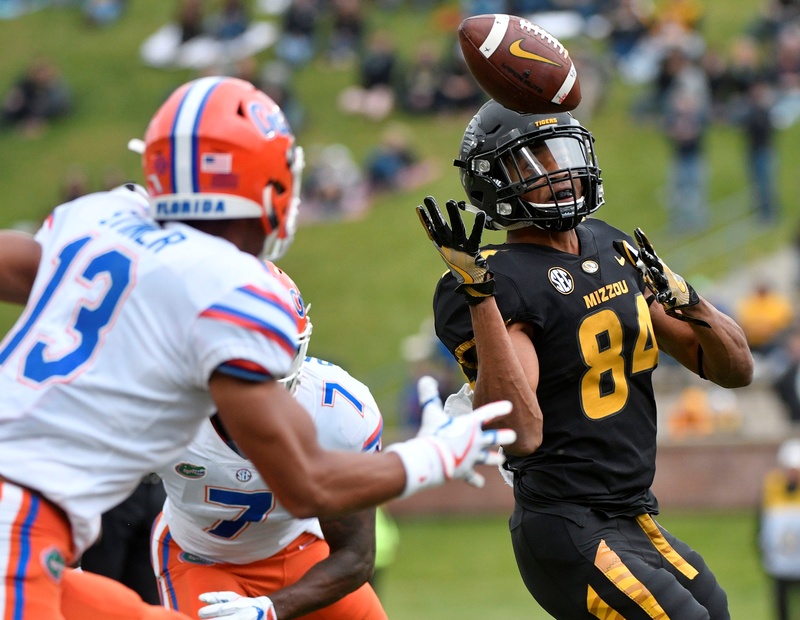 Hall enters the draft after an electric career at the University of Missouri that saw him average more than 20 yards per reception on 97 career receptions in his four seasons with the Tigers. As a junior in 2017, Hall averaged 24.8 yards per reception on 33 his receptions. In 2018, he had 37 receptions for 828 yards, six touchdowns, and 22.8 yards per reception. He's an electric athlete that combines size and speed to win down the field. At nearly 6-2 and 201 pounds he ran a 4.39 40-yard dash. Among wide receivers he was in the 99th percentile for broad jump and 98th percentile for vertical jump. His wingspan put him in the 85th percentile at his position group. So for those of you, and me, that like Marquise Brown that are hoping for a speed element for the Dallas Cowboys at pick 58, Hall might be the cheaper option. With more size. With Amari Cooper, Michael Gallup, and Randall Cobb expected to be the starters in 11-personnel, the Dallas Cowboys could use a player with Hall's speed element. Tavon Austin has speed, but he lacks size to make contested catches down the field. Cooper has size, but isn't really known for his athleticism as much as he's known for his route running and speed. As a player, Emanuel Hall reminds me of former Dallas Cowboys receiver Brice Butler, but in a good way. Butler had the ability to get down field with his speed and the size and athleticism to make contested catches. The difference being Butler never had the production to go with his athletic ability. Even in college. The Cowboys like receivers with Hall’s size and speed. If there's one thing missing from the Dallas Cowboys passing offense, it's a player that can threaten the defense vertically like Hall can. The fact that he's coming to visit The Star means that the Dallas Cowboys are very interested in adding his ability to their team. Each of us should be clamoring for this downfield weapon as well. With all of the attention paid to Amari Cooper and Ezekiel Elliott, there will be opportunities galore to hit teams for big plays over the top. The Cowboys need to pull the trigger on this athletic and speedy wide out.